Payment must be made payable to "Flexi e-Solutions Sdn Bhd". You may make your payment by bank-in the payment directly into our bank account at Maybank Berhad (Option 1) or you may send us a cheque (Option 2). For international customers, you may send us Western Union Money Transfer (Option 3) or perform a TT Transfer (Option 1) to our bank account. d) Invoice Number for which this payment is meant. 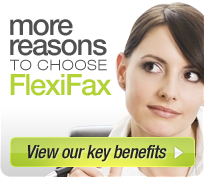 Please contact us sales@flexifax.com.my for transfer detail.